Caps United have completed the signing of former Highlanders striker Gabriel Nyoni, who has been a free agent since December 31. Nyoni declined to extend his stay with Highlanders, opting for the Green Machine where he has since signed a three-year deal. The club leadership that includes president Farai Jere and vice-president Nhamo Tutisani had a hectic day yesterday, where the Lloyd Chitembwe-coached side signed a new three-year deal with forward Ronald Chitiyo, whose contract with the club ran tothe end of last year. Also extending their stay at the club are midfielder and Soccer Star of the Year finalist Joel Ngodzo, who inked a one-year deal, and goalkeeper Chris Mverechena who signed a three-year deal. Striker John Zhuwawo also committed himself to the club by renewing his contract. There was also another new arrival as former ZPC Kariba leftback Munyaradzi Kunyarimwe also penned a three-year deal as the Green Machine step up preparations for the new season. It is, however, the signing of Chitiyo and Nyoni that is likely to excite the Caps United fans, particularly after the club snapped up Phenias Bhamusi in what will be perhaps the deadliest attack on the domestic soccer scene. Chitiyo sat out the whole of the 2018 season, recovering from surgery after he sustained injuries in a road accident. He has since stepped up his road to recovery, and started working on his fitness. Chitiyo, who starred for Caps United in their Caf Champions League campaign in 2017, is expecting to start pre-season training with the rest of the Green Machine squad. He was identified as one of the priority signings by Chitembwe, and yesterday he was one of the players that the club finalised terms with. 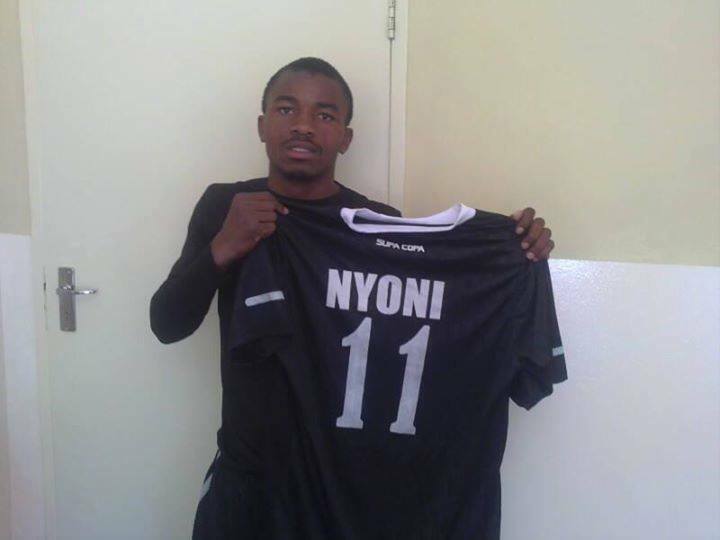 Nyoni, on the other hand, ended speculation about his future by committing to Caps, having been linked with Ngezi Platinum Stars at some point. Although he is only extending his contract, Ngodzo's signing feels like a major new addition, considering the form that he was in last year. Jere said they wanted to see a better Caps United next season. "We are taking our preparations for the next season seriously. We want to see a better Caps United this term. We are good to go. We are only left with perhaps three or four players as we beef up," Jere said. Tutisani said their focus was not just about winning silverware, but to create revenue streams for the club and also put more emphasis on developing their junior football structures. The Green Machine are looking to strengthen their squad in the hope of fighting for honours this year after a troubled 2018, where they finished eighth on the Castle Lager Premier Soccer League; a massive 36 points behind champions FC Platinum.